One of my favourite Valiant characters, the Eternal Warrior takes centre stage in this powerful piece - one that summarises exactly what it is about the character that makes him so sweet! Valiant says: The all-new Geomancer must battle the "Wrath of the Eternal Warrior." Throughout all of human history, the sacred lineage of the Geomancers has protected Earth from all who would seek to do it harm. But, now, a new Geomancer has been chosen and she's stuck keeping Archer & Armstrong out of harm's way! But why has Kay McHenry been selected to wield this exceptional power? And just what is her connection to the Eternal Warrior's blood vendetta? Only Gilad knows for sure...but he won't be answering until he's left Archer & Armstrong bloodied, broken and brutalized by his own fist and steel. Taking on the internal art chores for the story-arc Planet Death, Trevor sure makes his presence known with this in-your-face cover! Marvel's loss looks sure to be Valiant's gain! 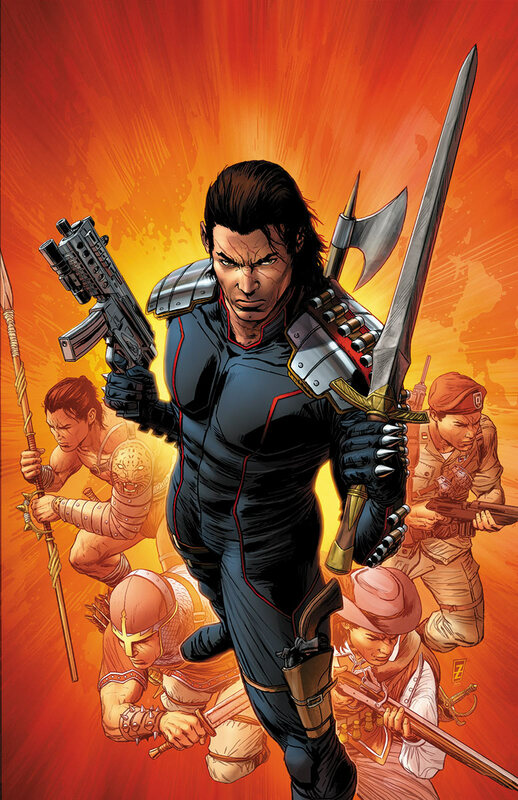 Other Valiant January 2013 highlights; Bloodshot: Harbinger Hunter is the name of the game in Bloodshot #7, Torque joins the Renegades in Harbinger #8, and Mr Twist's plans to restore Master Darque near completion in Shadowman #3. What do you think? Sound off below. For January 2013 solicits from other publishers as they're released click here, or for Valiant's full January line-up, follow the jump! I love how all the past versions of himself are shown behind the current version, while he's holding all the weapons, past and present. Nothing scarier than a dude with bullets, and axe, and a broadsword. Badass doesn't even cover it. 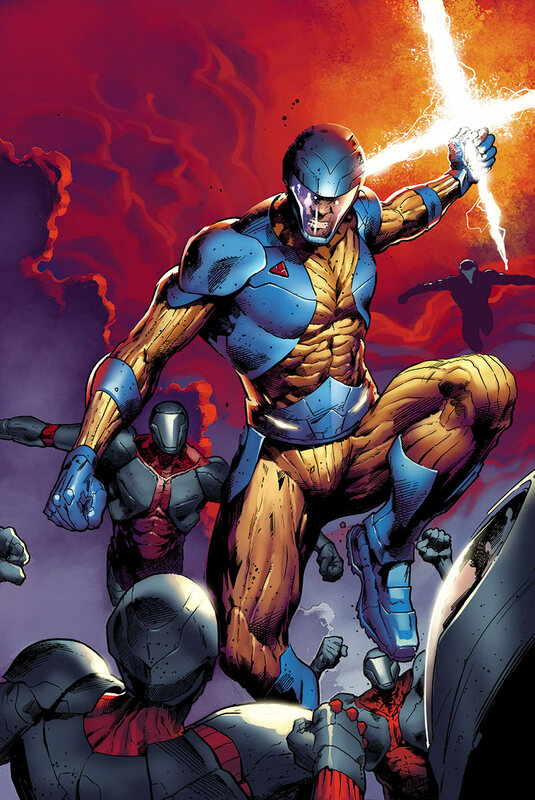 XO- Manowar has always been one of the best alternative comics heroes. Hes like an alternative version of Iron Man in some ways. I think so too Karl, in fact I think if all other publishers combined out side of the big two and did their own 52, he'd rank right up there with best, just behind Walking Dead though but that goes without saying.